Low in calories and high in vitamin and minerals, you can't really go wrong with fruit and vegetables. The government recommend at least 5 portions of fruit and veg a day but a lot of people struggle with that because we rely on refined carbohydrates and meat to fill us up, but if you maintained 5 portions of fruit and veg a day your meals would be bulked out with much healthier foods. There is some speculation as to whether we should limit our fruit intake because of the amount of sugar in it, if you stick to around 2 fruit a day there shouldn't be a problem as the sugar is digested with fibre which means you don't get the sugar spike you would get from sweets and cakes. But all in all the best advice would be to stock up on your veg, if you struggle for recipe ideas, check out Pinterest. Unless you go to the gym a lot and the word 'PROTEIN' is being thrown about all of the time, you probably don't take much notice of your protein intake but it is very important for your body. In short, protein is made up of amino acids and we need then for a lot of our body's functions, including muscle growth and repair, so if you exercise and won't a more toned look, protein is necessary. Sources of protein include: poultry, fish, eggs, chickpeas, lentils and natural yoghurts, etc. I'm not saying it's chicken and vegetables for every meal from now on, but make sure you're trying to get a portion of protein in each meal. Against what most people think, some fats are good for you and are actually necessary. They keep you warm, are used as a secondary source of energy and are needed for hormonal function, but you want to be eating more unsaturated fats and less saturated fats. This means more nuts, nut butters, avocado etc and less sweets, chocolate and biscuits and because fats have more calories per gram than carbs and protein they leave you feeling fuller for longer. You know that if it has been made in a factory or can't be produced naturally it most likely isn't good for you. Stick to fresh ingredients, get creative in the kitchen and try to avoid nasty processed foods. Of course there is going to be the odd time when you just need that fried chicken burger, no one's a saint, but just limit how many times you eat food like this. 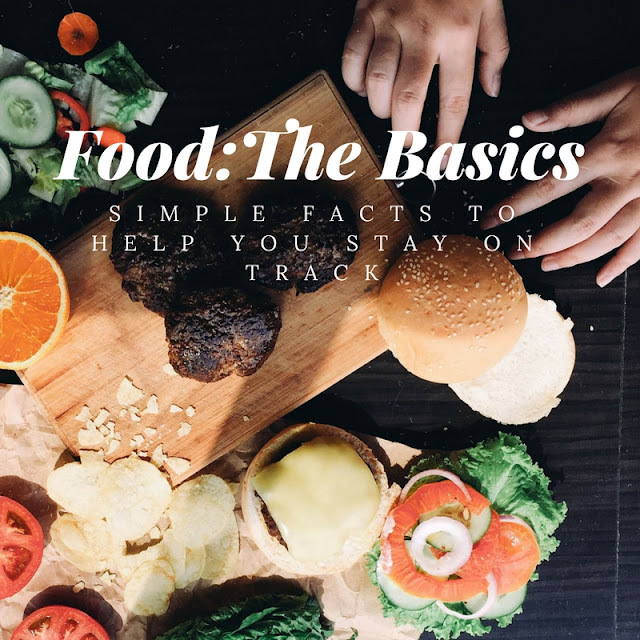 If you follow these few tips you will definitely be on the right track to having a balanced and healthy diet. It's something that most of us know but get caught up in all of the mixed messages and start to doubt ourselves about what is good and what is bad. And as a side note, i'm no dietician, these are just some of the government recommendations mixed with my nutritional knowledge as a Personal Trainer.